It’s that special time of year as baseball rises with the spring Crocuses, throwing off the winter and March madness. 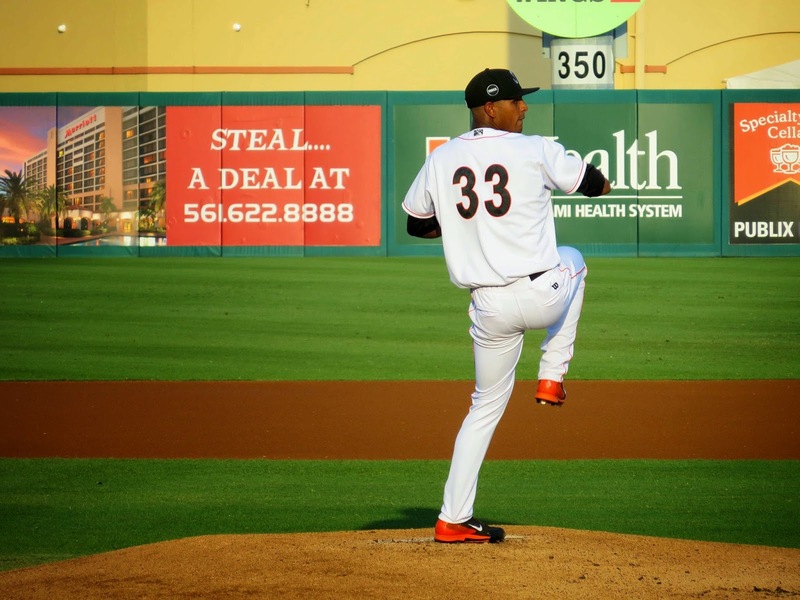 For us in Florida, it’s the end of Spring Training games but the beginning of the minor league season. In Palm Beach Country we have the A plus league playing in Jupiter’s Roger Dean Stadium, fielding teams from Florida’s west and east coast. Although the official opening day at the stadium was the week before, for us “Silver Sluggers” Wednesday night was our opening day. 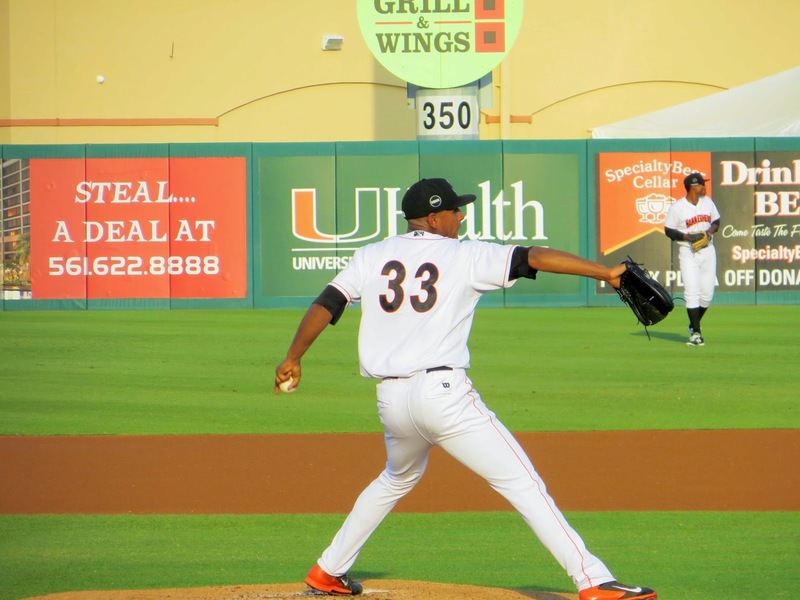 It was a lovely spring/summer early evening, in the low 80’s with a light breeze, the Jupiter Hammerheads (the Marlins’ farm club) playing the Clearwater Threshers (Philadelphia’s farm club). 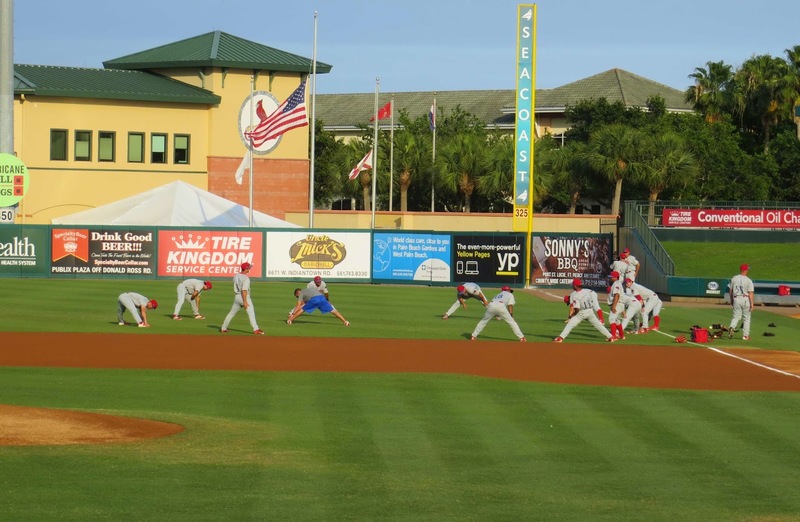 Less important than the outcome of these games (either the Hammerheads or the Palm Beach Cardinals play; both share the stadium, one being the home team while the other is on the road), is the game itself, how it’s played, major league in every respect, the pristine field, the beauty of the game. “Silver Sluggers” – 55 and over – get to enjoy all those Wednesday games, $25 for the entire season, including a hot dog and soda! How can you beat that? And there we share the experience with similar minded friends, all of us sitting practically on the field behind third base. Unlike the big leagues, it’s an opportunity to really feel part of the game. The flag was at half mast, in honor of the 150th anniversary of Abraham Lincoln’s death, history and baseball inextricably intertwined. I’m particularly interested in some of the left handed pitchers, as my high school fantasy was to pitch in the big leagues. 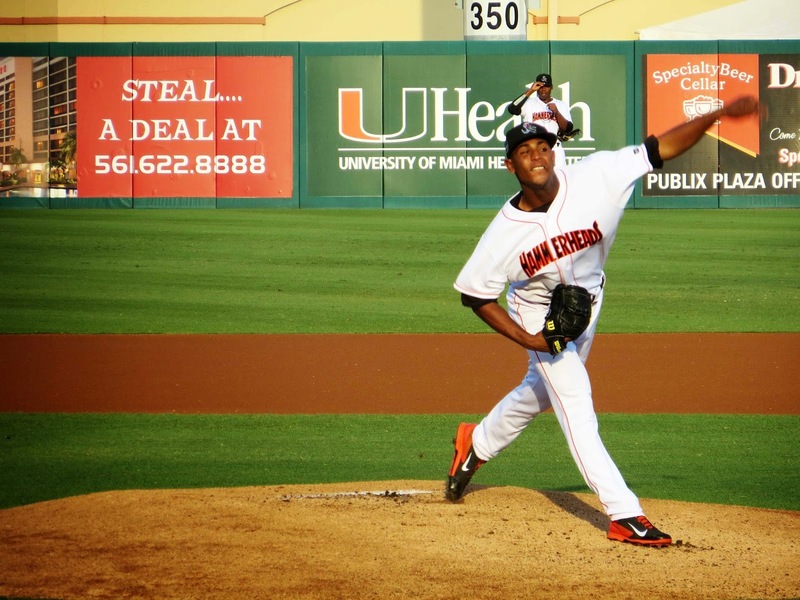 So, I was thrilled to see a lefty pitch, Jarlin Garcia of the Hammerheads who started Wednesday’s game, working 6 innings, giving up no runs with 4 strike outs and 2 walks. Not a flame thrower, but he was bringing his fast ball in the low 90’s balancing those pitches with off speed stuff. 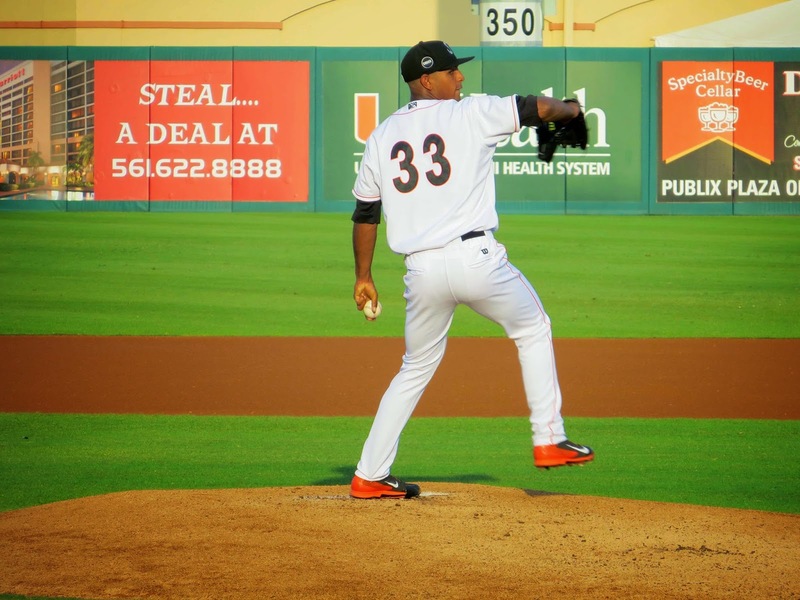 The 22 year old kid from Santo Domingo, Dominican Republic has potential. 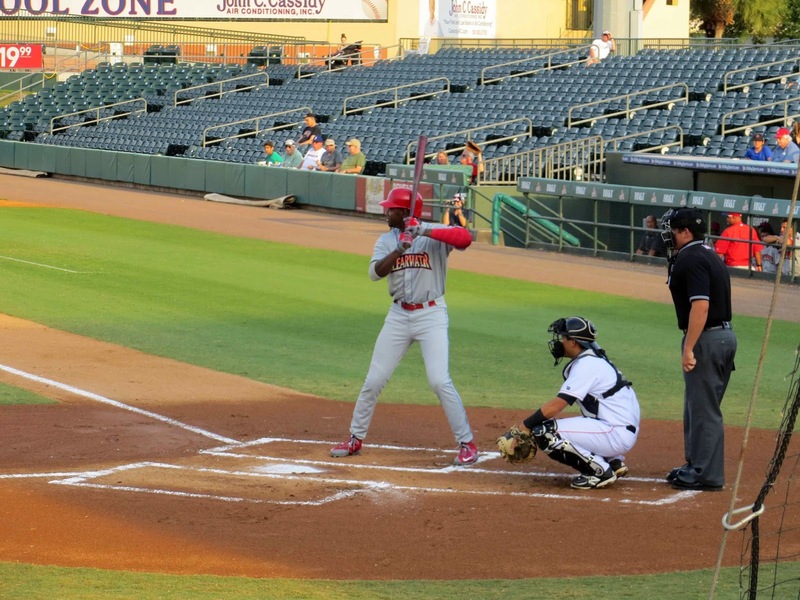 Some excitement at the game was the presence of Domonic Brown, the big Philadelphia Phillies regular right fielder who was playing on rehab assignment. He went 1 for 4. 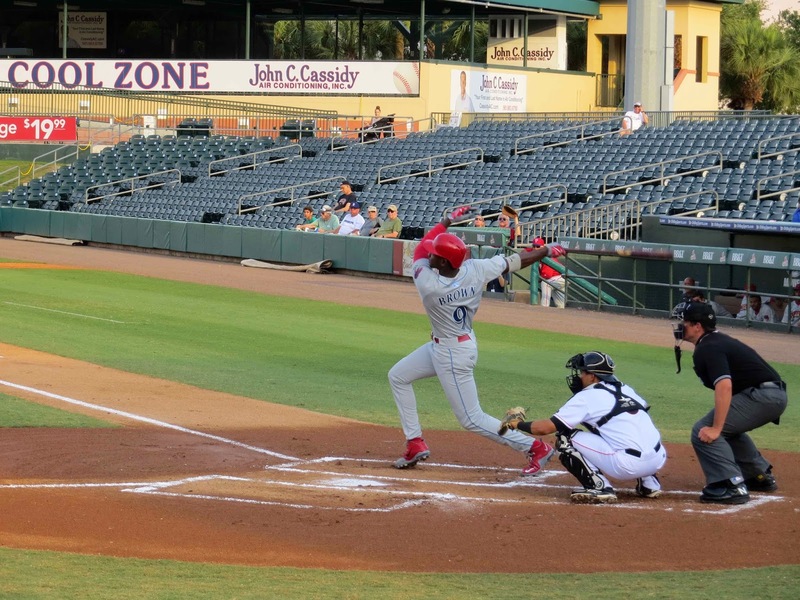 The game itself was decided in the ninth inning when Clearwater scored all 7 of its runs, beating the Hammerheads 7-4. But, as I said, that was less important than just being there. Let the games begin!